As the revelations of former National Security Administration (NSA) contractor Edward Snowden continue to create headlines, the massive amount of backlash is leading to an increasing distrust on the part of consumers in online services. “Experts have estimated that losses to the U.S. cloud industry alone could reach $180 billion over the next three years. Additionally, major U.S. tech companies like Cisco and IBM have lost nearly one-fifth of their business in emerging markets because of a loss of trust,” Robyn Green said in a report published last July, Surveillance Costs: The NSA’s Impact on the Economy, Internet Freedom & Cybersecurity. Robyn works at New America’s Open Technology Institute. The Snowden leaks influenced Brazil to purchase 36 Swedish made Saab Gripen fighter jets for $4.5 billion instead of an equal number of Boeing produced F/A-18s, according to Welber Barral, who was Brazil’s trade secretary from 2007 to 2011, quoted in Bloomberg News. “Boeing only didn’t win the deal because of the lack of trust created by the spying incident, had the decision been last year, Boeing would have won,” Barral said. IBM announced via press release in January 2014 that it would spend $1.2 billion to build cloud computing data-centers, many of which would be outside of the United States. This is important for companies who do not want their data copied as it flows into United States over NSA tapped lines. The NSA, CIA, and FBI have been accused of intercepting routers and placing spying hardware inside of them before they were delivered to customers. In November 2013, Cisco reported its worldwide revenue would decline 8 to 10 percent in the fourth quarter due to Snowden’s allegations. This is almost $4 billion dollars in lost revenue. Cisco has been taken to court over its involvement in the creation of the “Great Firewall,” also called the “Golden Shield Project” by the Chinese. This is the largest and most comprehensive example of Internet censorship and monitoring in the world. With words like: democracy, Tibet, Falun Gong, and freedom, flagged and censored automatically, all thanks to Cisco, their cries for freedom sound hypocritical. “A third of the world’s population, even if they have access, live under governments that block content, censor speech, conduct invasive mass surveillance and curb the potential of the Internet as an engine of free speech and commerce,” said a document on the U.S. Department of State website. Germany canceled it’s dealings with Verizon in response to the unwarranted wiretapping projects. 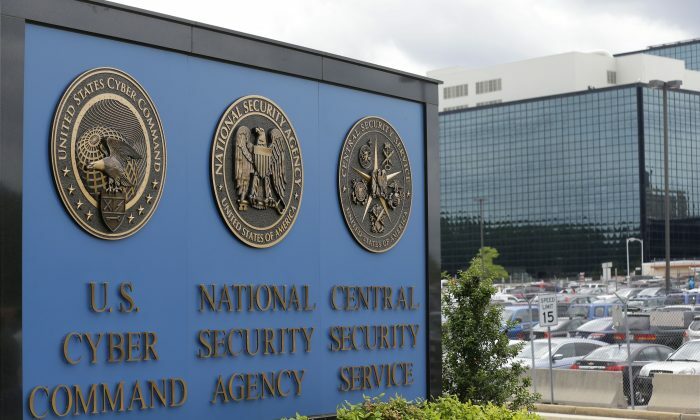 “Ties revealed between foreign intelligence agencies and firms in the wake of the U.S. National Security Agency affair show that the German government needs a very high level of security for its critical networks,” Germany’s Interior Ministry said in a statement reported by Reuters. Nine major technology companies (AOL, Apple, Dropbox, Facebook, Google, LinkedIn, Microsoft, Twitter, and Yahoo) joined together in the “Reform Government Surveillance” campaign in 2014. They launched a website and wrote open letters to government officials asking for a change in privacy-eroding policies. In April 2014 Harris poll asked 2000 people if NSA spying changed their online behavior. Forty-seven percent said they have changed their online behavior, paying closer attention to what sites they visit, and what they say. Twenty-six percent said they are doing less online shopping and banking as a result of learning about government wiretapping. There has been little response from the Whitehouse, which continues to fund the massive spying project with little reform, even though they are costing U.S. businesses hundreds of billions of dollars. The latest massive $1.5 billion NSA data center is located in Utah and completed in May 2014 shows that there is no stopping or slowing down government spying. Edwards Snowden leaked more information to Der Spiegel about the F-35 revealing that the DOD knew that Chinese hackers stole plans for the F-35.